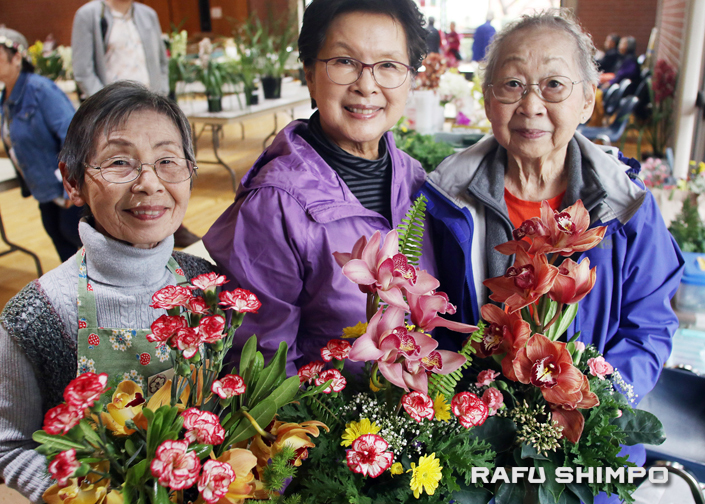 From left: Eiko Hashibe, Yvonne Nishio and Doris Higa display some of their beautiful flowers at the 32nd annual Cymbidium Orchid Show on March 2 at the Ken Nakaoka Center in Gardena. 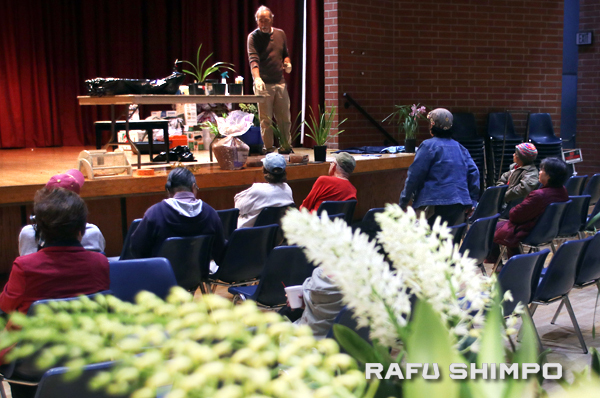 The show is hosted annually by the Gardena Cymbidium Club. Visitors enjoyed potting demonstrations and a plant sale. 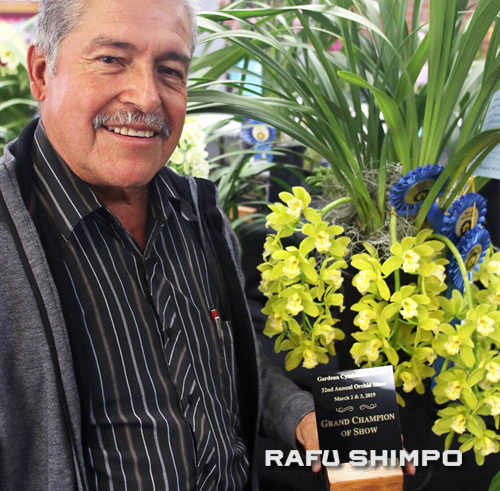 Jose Avila was the grand champion and winner of the Michiaki Kawano Award with his Mini Mary-Pumulum-Sleeping Beauty cymbidium.